Do you know the top 5 leading death causes in the world? Cancer, Heart diseases, Stroke, Chronic lower respiratory diseases, and unintentional injuries. Then you should check out this hilarious figure too. In the US alone, all these diseases together cause nearly 63% premature deaths each year and this number is still growing.” A Study found. These diseases are defined as lifestyle diseases, associated directly with the way people live their life. And you know very well that how we are living our lives, we packed with numerous unhealthy bad habits, improper lifestyle routines and inadequate quality of living. 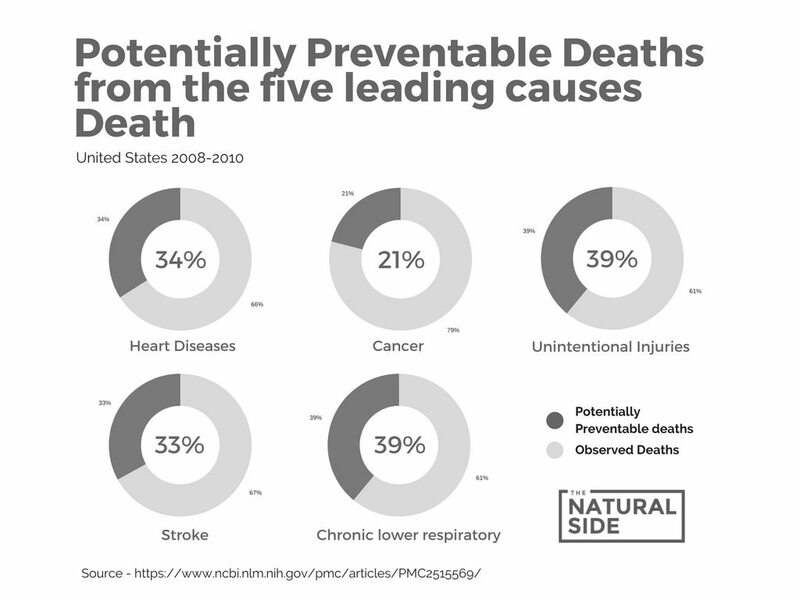 According to a research from the Centers for Disease Control and Prevention, yet up to 40 percent of the deaths from each cause could be prevented. These figures are enough to force us to embrace the Healthy Lifestyle. It is time to turn those positive numbers to possible numbers through live the more powerful, pure and Healthy Lifestyle. Healthy Lifestyle is nothing just making a few simple changes in your daily routine and activities including diet, physical activities, self-care, sleep, and health. While building up a positive attitude and a positive self-image. And to incorporate these new healthy change… first, you have to slowly stop doing bad habits and health-risk behaviors including drinking alcohol, cigarettes, tobacco, junk food etc. 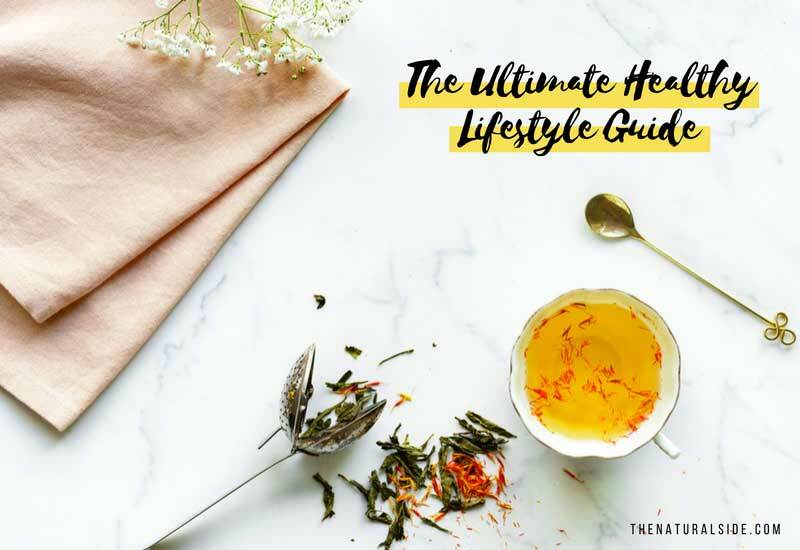 So without further ado, let’s dive into the Ultimate Healthy Lifestyle Guide, packed with several healthy lifestyle tips and tricks. 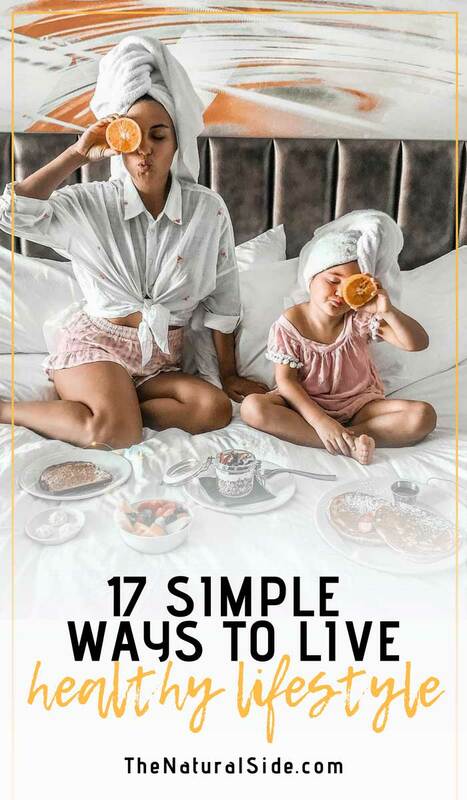 We have divided the Healthy Lifestyle Guide into 17 Simple actionable tips that make it smooth and easy to understand for you. These are the best possible ways to live a more healthy lifestyle without compromising your daily routine. Your body is a perfect reflection of the way you treat it. And the best way to treat the body well by making the right food choices. You need to just take two straight actions. First, Our body needs 5 essential nutrients such as Carbohydrates, Proteins, Fats, Vitamins, and Minerals to stay healthy and alive. And the best way to get these nutrients is to take a well-balanced diet or Eating Well. Second, Avoid Junk Food as much as you can. 1. Vegetarian or Non-Vegetarian Diet? For different sort of activities, you need a different kind of body. Whether a bodybuilder needs a protein-rich diet, Sports individuals need more energy. British vegetarians have low mortality compared with the general population. In 2006, 150,000 people in the UK opted for a plant-based diet. Today, 542,000 do. That’s a 350% increase. We choose the Vegetarian Diet, a diet in which any kind of meat is prohibited to eat. Here is your answer… Real Foods! Real Foods are the plant-based Whole Foods that are unprocessed and unrefined or may be Organic. Whole foods include Fruits, Vegetables, Berries, Whole Grains, Beans, Seeds, Legumes, Dry Fruits. We are eating Real Foods on our brand new healthy journey but how is it possible without a power-packed grocery shopping? In the beginning, Real Food shopping could be overwhelming and confusing for many people. Because of lots of buzz words, and a bunch of different confusions going around such as should we eat grains or not? What to choose or not? Where to buy? How to get the best prices on products? You will find solutions to all your confusions in this Real Food Shopping Guide written by Maria Marlowe. It has all the basic to pro level shopping tips and hacks that will save you money and time while eating well. Or you can read these 25 Grocery Shopping Tips that packed with many new and useful info. 4. How to prepare a Vegetarian Diet Plan? It seems tough to prepare a Diet Plan, doesn’t it? Always keep in mind some of these basic tips or principles of cooking healthy food. Some foods are good to eat raw, and some become healthier when cooked. Eat a combination of both raw and cooked foods for maximum wellness. TIME labs reported that 44% of Americans consume less than the recommended 6 oz of grains per day. That’s about 6 slices of bread or 1½ bagels. If you’re like many people, eating a few of the Grains, Bran flakes for breakfast and wheat bread for sandwiches, this is an unusual pattern. So It is important to bring in a multigrain diet. You should eat as per the needs of the body, In short, choose the food to eat according to climate or whether we live in. Include a variety of seasonal vegetables, fruits or foods in your meal plan. Choose the food that fulfills the seasonal requirement of your body. We are using lots of different products from daily care to personal care. These products are packed with tons of harmful ingredients that linked to many dangerous health problems and skin disorders. We need to ditch this type of chemical commodity for forever. But what to use instead? Simple! Make your own Chemical free Homemade products instead. means DIY, Do it Yourself! You can DIY almost everything you could possibly want! So Say hello to all-natural products and goodbye to nasty ingredients. These two are the heftiest area where you can find a large number of chemical-based home and beauty care products. Research by a Natural Deodorant Company found that the average woman puts a staggering 515 different synthetic chemicals on her body every single day. And 60% of what we put onto our skin is absorbed into our bodies directly. Almost every beauty and home care products can be easily DIY… from Face Pack to body deodorant, Shampoo to Hair Spray, Laundry Detergent to Stain Remover, Dish Wash to Carpet Cleaner. 6. How to start DIY in simple steps? I know, now you are considering to make your own products, So Here are a few simple steps that get you going with DIY. If you are a DIY-er, there are a bunch of ‘must have DIY Ingredients‘ that should be in your home. From base oils to essential oils, Butters to wax, clay to salts and obviously the water. Essential OIls are an important part of DIY Homemade Products. Here we have prepared a super easy beginner friendly Essential Oils Guide that will walk you through how to use Essential Oils at Home in just 2 simple ways. You can download our Free Essential Oil Safety Checklist too. We use lots of cooking equipment in our kitchen daily and here You’ll find required tools easily. Such as mixing bowls, Metal and wood Spoons in different sizes, Hand Blenders, and Mixers, Chopping Knife and board etc. But there are other special types of tools that complete the list of equipment, such as a variety of mason jars in different sizes for storage, Molds, Fine Mesh Sieve, digital scale etc. 7. What should you make first as a new DIYer? You have essential ingredients and the right equipment to start. but…What should you try first? Should you go for a lotion or a balm or a face mask? Don’t panic. We have the quick fix here. In the beginning, start with 2 or 3 ingredients OIL+OIL recipes, just mixing ones… Balm, Slaves, face masks, serums etc. Then go for LOTIONs which includes Sprays, Soaps, and other cosmetic items and cleaning stuff. You probably heard about the home remedies to cure a cough, sore throat and acne. According to the National Institutes of Health (NIH), one out of three people in the United States seek alternative forms of medicine including many different Natural Remedies. In fact, home remedies are inexpensive, they are chemical-free and don’t have any side effects, so it is worthful to give them a try. In addition, hassle and expense of conventional medicine continue rising, so why we not to use our mother nature’s gift to cure our health and beauty related problems. Simple natural cures can be very effective in relieving symptoms and preventing further development of a disorder. Your Kitchen is the best place to get started with Home Remedies, your pantry surely has some basic ingredients to start, such as cardamom, Clove, Ginger etc. Now you need some herbs. They are not so familiar with your pantries. The best way to get the fresh herbs is to grow your own medicinal plants such as mint, basil etc. Fitting in exercise around a busy lifestyle can be hard work. But actually, it is not, if you know what works best for you and how to get the most out of it. Doing the more planned physical activities is the next essential step towards our Healthy Lifestyle journey. So here is the step by step plan. You Might Also Like: 15 Yoga Essentials Every Yogi Needs In Her Life! 10. Different types of exercises, choose what’s best for you? There are different types of physical activities or exercises, each type of exercise has there own characteristics. For instance, if you are overweight then you may burn more calories by increasing flexibility whereas athletes can avoid injuries by including strength-based exercises in their training. If you are not exercising for a specific aim rather than live healthy and fit. Yoga and meditation are an essential set of activity which everyone should do. Yoga and Pranayam have the power to prevent the most ailments as well as the incurable diseases. 11. How much exercise should you do? According to the U.S. Department of Health and Human Services, daily minimum recommendations of physical activity include 150 minutes of aerobic exercise per week. 30 minutes of exercise per day is enough to fulfill the daily requirements for a healthy active body. For this, it is not compulsory to go Gym every single day, you can do it from the comfort of your home with little-to-no equipment required. In addition, you may go Gym once a week (weekends are more preferable). Different types of physical activities function on different elements of our mental and physical fitness. Begin with the simplest physical activity – the Walking, it is something most people can easily do, Start walking between 7000 to 10000 steps a day is one of the keys to fitness. One mile is equivalent to 2,000 steps, and it takes about 20 minutes to walk. For Weekdays, make a regular exercise routine of 20-30 minutes. Add the majority of this daily morning exercise session time to move your body that improves your flexibility, balance, posture and strengthen your muscles. In short …Yoga. Yoga is a practice that challenges your body both from inside as well as on the outside. Include some breathing exercises such as pranayama and meditation to make a variety in your session. Pranayam and meditation are an effective way to relax your body and mind. Do Warm up before beginning exercise. Take quality sleep, if you don’t get enough sleep, you won’t have enough energy to train. Drink eight 8-ounce glasses of water a day and stay hydrated. Keep motivated by rewarding yourself at every step. Are you missing something in this healthy lifestyle guide? A healthy Lifestyle can’t be completed without a positive self-image and happiness. Happiness is the Color of a painting called Life. And we got the secret of Happiness. Happiness comes from helping others and taking care of yourself, your sweet Home and your Mother Nature. Meet your brand new healthy habit, the Gardening; and start growing plants outdoor as well as Indoor organically. Whether Indoor planting not just enhances your living space sightliness, rather also improves the quality of air by purifying it from bad components. Gardening displays two beneficial sides. Practically, we get the vegetables and fruits for our healthy diets, Herbs and other medicinal plants for the home remedies. Also improves the quality of air by purifying it from bad components. Ethically, it reduces many environmental concerns of us about global warming, loss of biodiversity, the water crisis, and wildlife habitat destruction. Your plants are doing their work perfectly to make your space more fresh & clean. And now it’s your turn to do yours. For this, you don’t need to function like a plant…, just wisely swap the products you often use in or outside of your house that packed with chemicals. Phase out the Plastic which has many toxic such as phthalates and BPA. Instead, Use glass stainless steel containers for storage, ceramic plates, wooden cooking utensils, reusable storage bags, and grocery totes. Avoid Non-Stick Teflon cookware that contains PFCs. Glass, ceramic, stainless steel, and enameled are great options to switch. One of the easiest ways to decrease the amount of waste is to bring in minimal packaging items in your home. Ditch the disposables and start relying on reusable items for such as mags, bags, totes, jars and even cloth diapers, bamboo towels etc. Composite your house’s waste and use it in your garden. Composting can remove 20-50% from your household waste while it can help to improve your garden growth and health. Self-Care is nothing just engaging in simple activities and behaviors to make them a habit. These tiny habits have a positive impact on your mental as well as emotional health. Want some Self Care Ideas? Here are 101 Examples of Self Care Activites to get you to go. Sleep is one of the most fundamental acts of self-care. You should ensure that you are getting enough and quality sleep. One of the most important things is, Self-care should be relaxing, delightful and enjoyable. Choose from the different types of Self-care activities which you’ll particularly like to do.